We catch up with Brett; the man behind the highly profitable AFL, NBA and NFL memberships. Some time ago Brett and his team of analysts / modellers joined the Champion Bets stable. Prior to this, Brett had been working with his private syndicate for a number of years, evolving and developing their approach to sports betting. While data-driven analysis for betting purposes is nothing new, it’s safe to say nobody had seen anything like the extent that these guys go to. Taking advantage of machine learning technology and databases with tens of thousands of data points, Brett’s team breaks down entire games into numbers which can be used to get the all-important edge on the market. It’s far advanced on what any bookmaker or sports betting syndicate in Australia is doing. The upshot for members was an absolute mountain of betting opportunities combined with a healthy edge on the market. That resulted in some ridiculous profits. 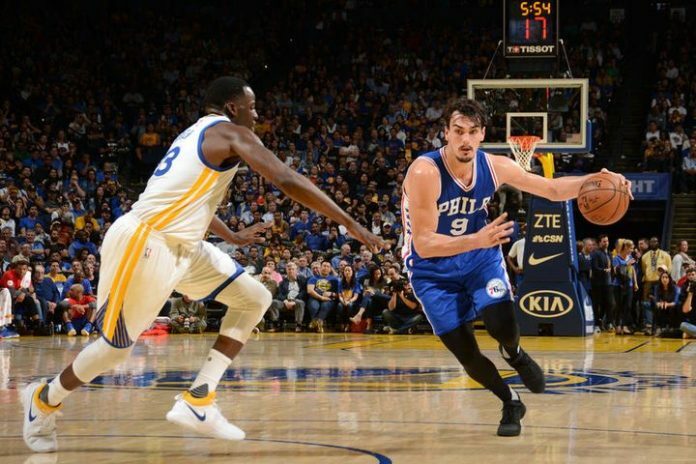 The NBA Platinum and NBA Specials memberships have been exceptional this season, and the best news is the season is only halfway through, meaning there is plenty more profit to be made. And with the 2018 AFL season around the corner, there will be more cash to be had with AFL Platinum and AFL Specials both returning for another year. I’d say that I probably seriously got into sports betting in around 2009. Prior to that, myself and my current business partner had a pretty deep background in poker. Straight out of high school, two young blokes with some large imaginations and some half decent programming and just general skills and logic. We thought we would get together and do something with poker. So we started building poker bots, back in 2003. We had a five to six-year history with poker betting, and playing poker. That generally transformed into a sports betting capability by about 2009. We grew out of our poker roots. We started to learn a lot about machine learning and all of these processes coming out of data science. That was new and exciting, so we basically moved away from poker and got into the sports betting market. I think I’ve rarely had a recreational bet in my life. Around 2009, I surveyed the investment landscape and made an assessment that sports betting offered the most bang-for-buck for return of capital. Because if you can find an advantage in the sports betting market, your so-called return bearing period is the duration of one single game. In conventional financial markets that can be weeks, months, even years for long term investments. So I really liked the idea of engaging with sports betting markets, given the frequent cycling of capital with that asset class. I also liked the idea of the benefit of sports betting markets having recreational money. To this day, I think it’s the only market in the world where recreational money fuels some significant portion of the total amount of capital circulating through the market, whereas compared to any other conventional financial market, that’s just not happening. My first ever model was the AFL. We still have a pretty deep interest in AFL football. Once we got started, we expanded to other Australian sports, and then when we met our U.S. based partner back in 2010, we were introduced to North American sports. We came to the realisation that there were some deep, liquid markets in North America, so we made the conscious effort to sink in much more time into the body of work that our business partner had worked on for a number of years. What came out of it was a focus on Australian and North American sports at this point. So NBA is just one of the stable of sports that we currently do. I’d say that we have a very, very data heavy approach. Putting my feelers out there in the sports betting world, I’ve actually never met anyone that goes to the extent that we have gone to. We use tens of thousands of features in our sports modelling, which is pretty much unheard of. Even in data mining circles and machine learning circles. I know of some pretty smooth operators in sports betting, and none of them have gone to the extent with their data orientated approaches that we have. I’ve come across a fair few syndicates now, in the last few years especially. We do things very differently to everyone else. That isn’t saying we have a pure machine driven approach. Everything that we generate is eyeballed and signed off by some human trader. It could be myself, with main markets. Or with this player prop staff, and other minor markets, with one of the blokes that work for us basically, look at our internal trading console and eye off any bets that we either make ourselves or that we release. We’ve seen that sub-game markets were a much more exploitable than full game markets, which makes perfect sense because everything is shaped by global market forces. Any number, any price or line that you see in this country on any non-Australian sport is shaped by the global market. There are maybe no more than 20 large syndicates that compose 80% of the turnover offshore. Given that’s the case, when you’re a small syndicate aspiring to grow in size from trading, you have to realise that you’re coming up against some of the best on the planet. On their trading floor, they have seven figure R&D budgets. They are turning over monumental amounts of money, and if any small outfit thinks they can compete with the best in the business, you need to really be sharp and really be on your toes when it comes to your modelling and your overall process, because that’s who you’re coming up against. With that realisation in mind, we decided to pivot and focus on sub-game markets and prop markets like game props and player props. That choice to adjust has paid off spectacularly well so far, as we can see from this product offering that we gave out to our Champion Bets clients.. From our own trading, we have seen that going through the undergrowth and trying not to draw attention to ourselves by trying to pretend that we’re the lion of the jungle when we’re not, when we’re actually the mouse trying to grow in this jungle environment. That was the strategy and the mindset behind looking at first half markets. One year later, we’ve got a fairly successful first half solution that exploits the fact that these large syndicates are not focused on the first half. Simply because there’s not enough money for them to bother with pre-game first half markets. It also plays into our hands, because the first halves are, for most sports that we have covered, fairly algorithmic in nature. So all these concerns with form, fitness and class and team motivations are basically things that happen in the later stages of the game. We found if we combined first halves only, which were fairly algorithmic, with less focus by large syndicates on these obscure first half markets, we could come to a fairly decent advantage. That’s what we have to offer, along with our player props. Brett and his team have seen sustained success over a long period of time, and across a number of sports as well. Successfully challenging the bookies on NBA, NFL and AFL player prop markets, Brett and his team have been able to establish themselves as one of the premier sports gambling groups in Australia. 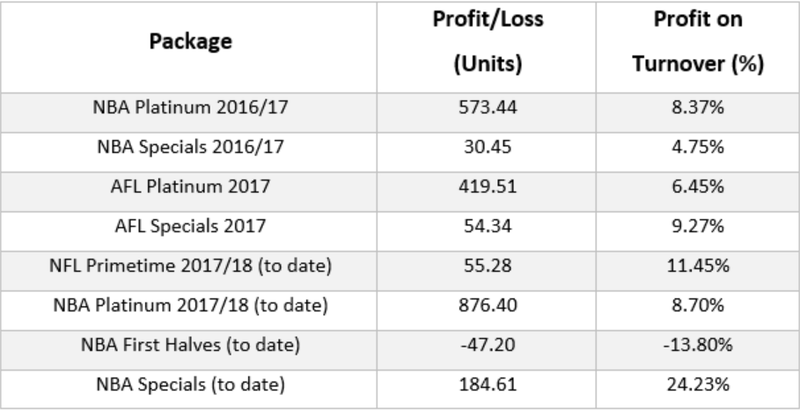 You can start enjoying the same success and profits, with the NBA season currently only halfway through and the 2018 AFL season about to kick off in March.